Brunch is my favorite meal. (Although who am I kidding…I love all meals) I mean hearty food AND drinking booze in the morning?? Yes, please! But it’s rare to find a vegan breakfast in Boston. The BF and I decided to grab some lunch there this past Saturday. To my surprise and delight, they serve a vegan and vegetarian brunch on the weekends. Huzzah! 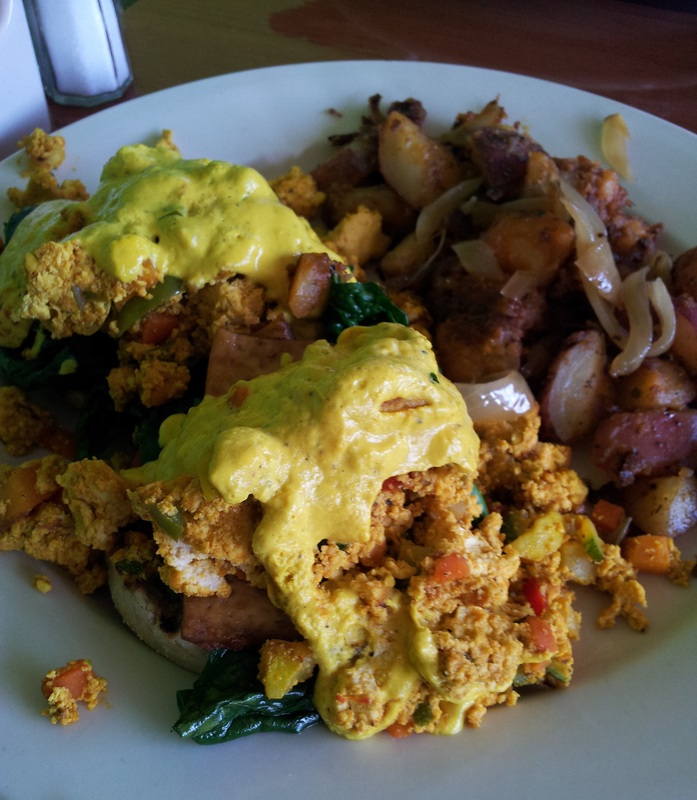 I eagerly ordered the Benedict Florentine and the Vegan French Toast. The Vegan French Toast! 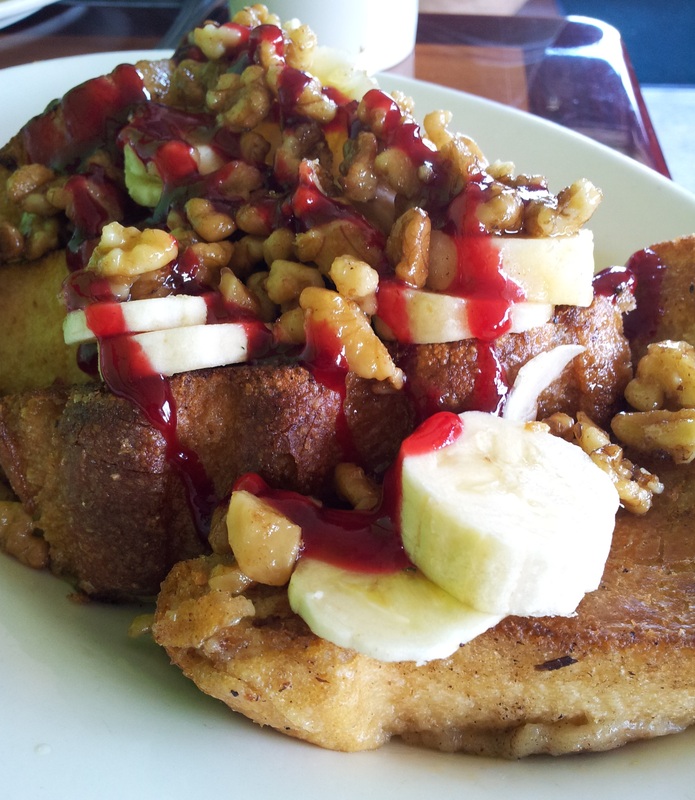 Decadent fried bread spiced with warm cinnamon, accompanied by banana slices, a walnut compote and drizzled with a sweet raspberry sauce. By omitting the eggs, I find vegan French toast much lighter than its dairy-laden counterpart. The walnuts were candied, a nice blend of salty and sweet. While walnuts aren’t usually my jam, they pair perfectly with the bananas. But omg, can we talk about the raspberry sauce? So freaking good! I found out from the server that the sauce is a mélange of cooked raspberries and apricots. Sweet, tart and simply genius. I couldn’t get enough of it. I could’ve bathed in it. Seriously. After each bite of my sweet and savory brunch, I couldn’t suppress the audible gasps of pleasure escaping my lips. I had wave upon wave of foodgasms. Tags: Boston, brunch, French toast, Red Lentil, restaurants, tofu scramble, vegan. Bookmark the permalink.